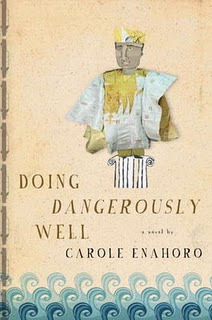 Broadcaster and art historian Carole Enahoro's debut is darkly, wickedly funny and deeply thought-provoking. In that regard -- in many regards -- it is a perfect book. Enahoro grew up in Nigeria, Britain and Canada. At present, she is working on a PhD at University College London, researching satire and Nigerian urbanism.